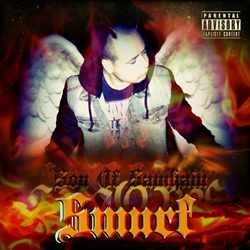 Las Vegas Recording Artist Smurf Rebel Da Don Releases New Mixtape "Son Of Samhain EP"
Coast 2 Coast Mixtapes announces the release of the new mixtape by Smurf Rebel Da Don currently seeking blog placements and interviews. Today Coast 2 Coast Mixtapes announces the release of “Son Of Samhain EP”, the latest single by Las Vegas recording artist Smurf Rebel Da Don. The mixtape is currently available for streaming and download at the Coast 2 Coast Mixtapes website. Smurf Rebel Da Don is currently seeking press opportunities, interviews, features, and more. He can be reached through his official Twitter page.